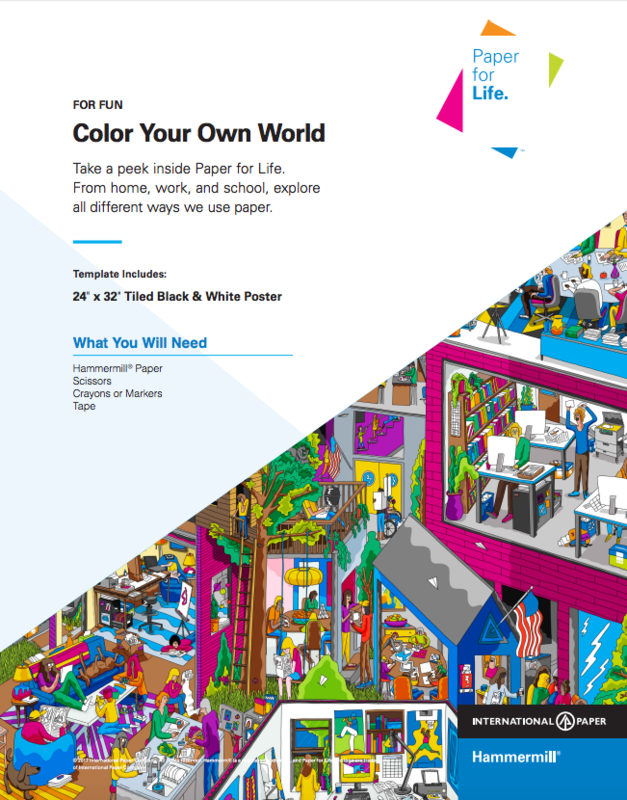 Color your own giant poster of all the different ways we use paper – at home, at school, and at work. Explore all of the ways we use paper! Color and cut out our tiled poster designed by Mike Perry. 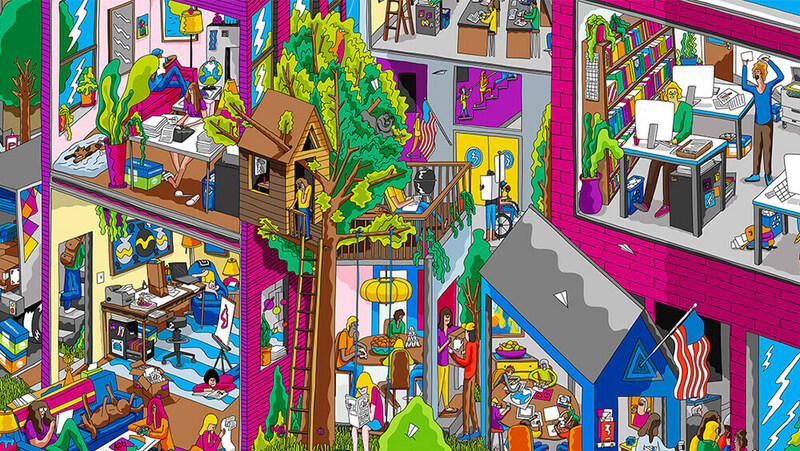 Reconnect the pages to create a giant one-of-a-kind poster. Check out more of Mike Perry’s work on our Features Selects page.